What do I love more than wine and cheese? 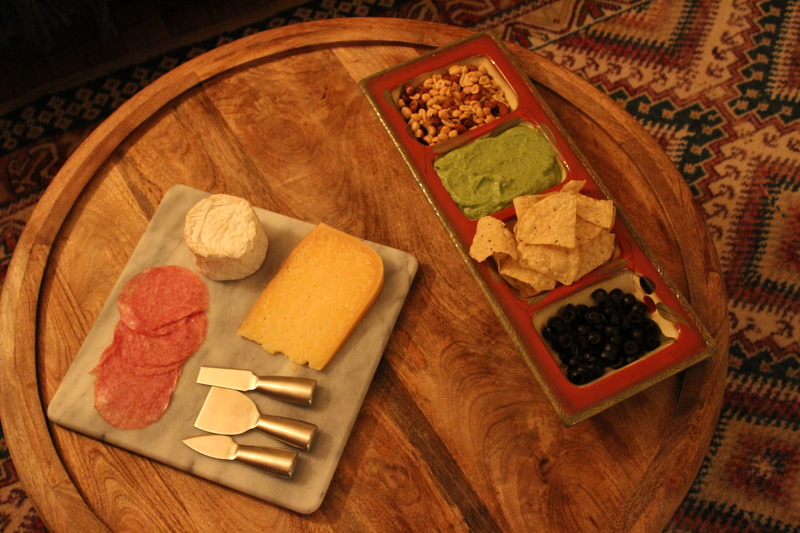 Having wine and cheese with friends, old and new. As you may or may not know (everyone’s busy, I get it) I have a new camera and of course, I’m eager to explore all the possibilities. It’s not as easy as it looks, I’ve yet to find that perfect light but I’m enjoying the journey. Back to the wine and cheese. I love the Holidays. Considering the crappy weather, it’s a season full of color and life that allows us to reconnect with people and gives us an excuse to put pretty things together. 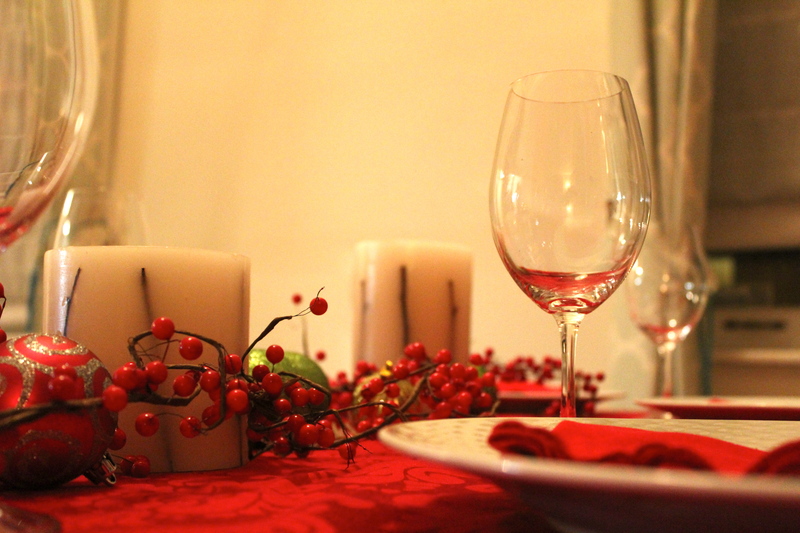 Seriously, think of all the things you do in preparation for the Holidays! I love the hustle, from getting the perfect gifts to finding the perfect outfit for your company’s Holiday party (which is tomorrow and I do not have). I may have a passion for capturing beautiful moments, but my friend and old coworker Citlalic has a passion for creating them. Her house is full of exquisite details that come together to build a lovely home. She has the perfect amount of patience to make sure that everything is perfect, which I love to capture! I must say I am very proud of my two cheese picks, Nettle Meadow Kunik and Aged Gouda from Murray Cheese Bar. Boy, were they good. My worst nightmare has a name and that is “lactose intolerant”. We also made pigs in a blanket! Not my best assembly, but that doesn’t affect the taste! Who knew this was so easy? 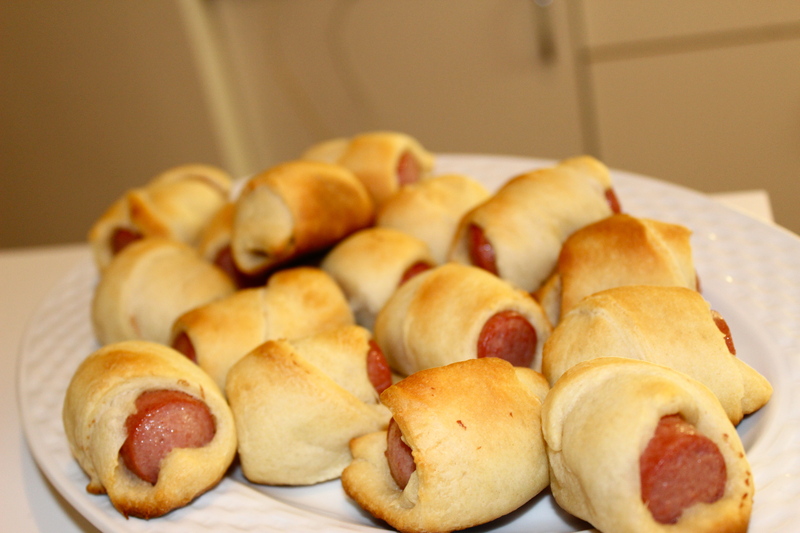 Just cut little hot dogs and roll them with Pillsbury Crescent Rolls. I look at this picture and I am hungry all over again. 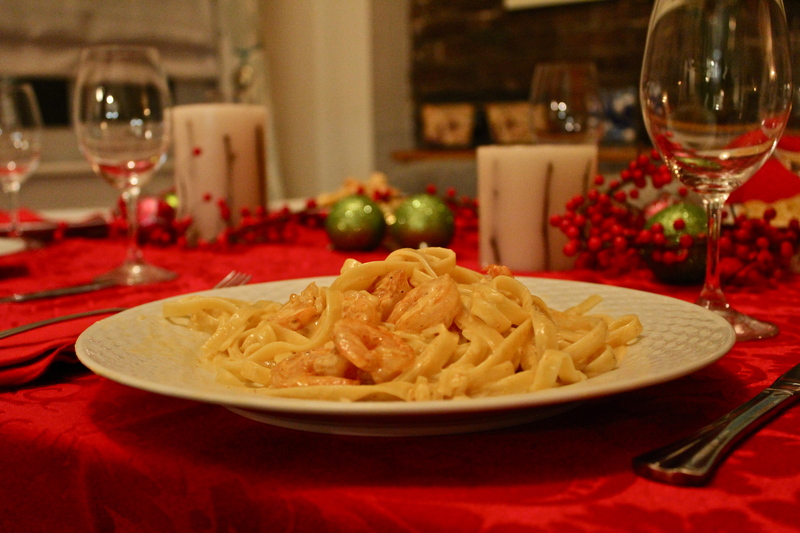 Citlalic cooked this delicious creamy shrimp Alfredo pasta with homemade sauce, props to her because I’m usually lazy and just buy the sauce at the store. Check out the recipe here. I look forward to the day that I have the capabilities to set up a table like that. I don’t even own a table cloth at the moment. 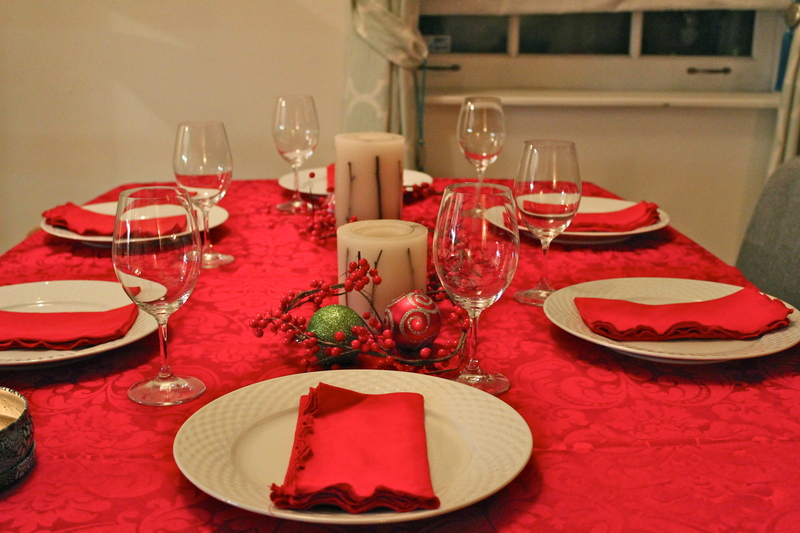 I miss my mom’s kitchen where I could find napkins of every color and glasses for any occasion. One day, Cristina, one day. Love it!. Keep doing things like this. I will try those recipes!